This initiative & collaborative work of a handful Southern Tagalog registered librarians synergizing their individual skills & freetime to promote the association and librarianship profession by utilizing freely available technology is maintained for information/educational purposes only & does not necessarily reflect the official stand of the PLAI-STRLC officers & members in general. PLAI-STRLC is not responsible for any damages, direct/indirect, arising from or related to viewing the postings. Last Friday, January 25, 2008, I attended the PAARL 35th Annual General Assembly held at Jose Rizal University, Shaw Blvd., Mandaluyong City. * UPDATED employment address as of 31 January 2008. 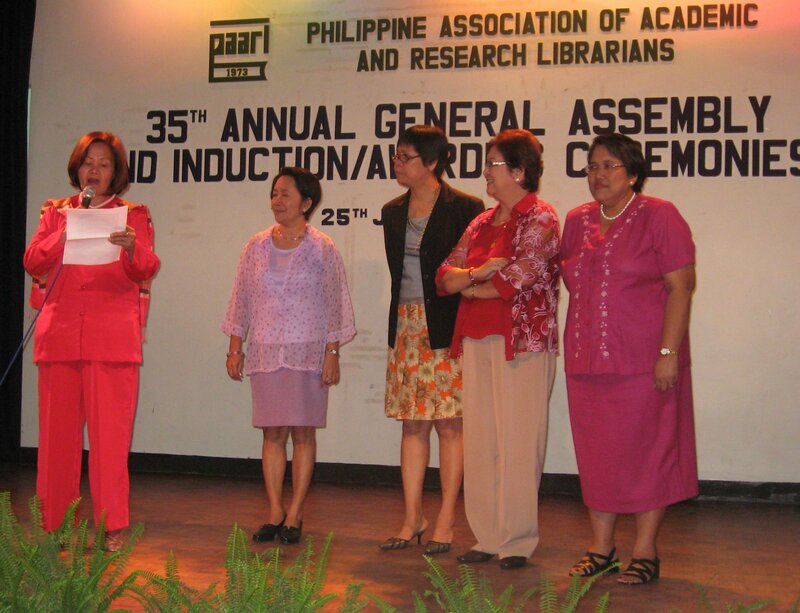 The awards are given every year to honor outstanding contributions to academic/research librarianship and library development in the Philippines. Nominations must be received by the Awards Committee on or before the deadline of 31 October 2007. October 7-9, 2009 : STRLC Conference on "Meeting the Challenges of Librarianship Across Barriers"